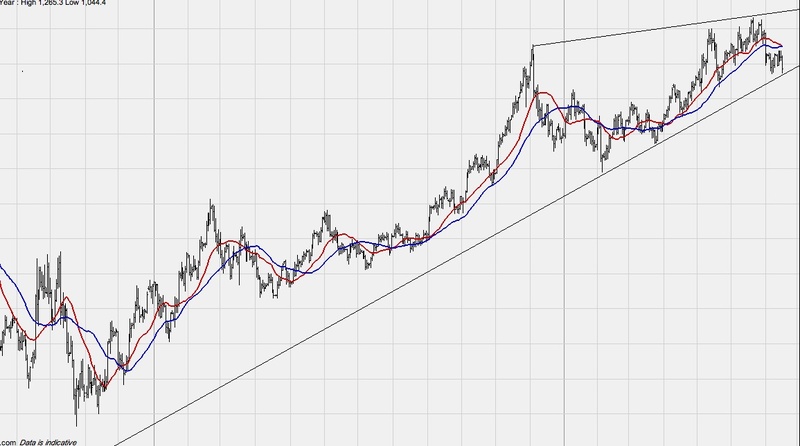 In the recent technical analysis of scrap gold prices we were looking at a smaller wedge which broke out to the downside. There is a larger wedge (drawn in above). This is also an ending pattern in the uptrend it is just much larger than the other wedge. A move below 1175 would be the start of a dramatic move downwards in scrap gold prices - for now. 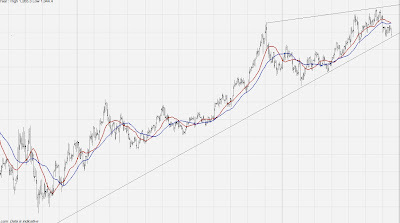 I have also drawn in a trend line which interestingly enough coincides with the bottom line of the wedge. Also the price bounced off the trend line 3 times - one of those times was today. A break below the trend line of scrap gold prices, the a retrace upwards and the a continuation downward below that level will also indicate a change in direction of scrap gold prices.